The distinctive fonts used on the covers and inside the Harry Potter books inspired designers to create full-fledged, free versions of them. Not only can you find the cover font, complete with lighting-bolt “P," there is also a font that looks like chapter headings, the snake language Parseltongue, and even matching the cover text of narcissistic Defense Against the Dark Arts teacher Gildery Lockhart’s autobiography “Magical Me." Here are free and professional versions of these fonts, along with creative ideas on ways to use them. Harry Potter theme party, anyone? 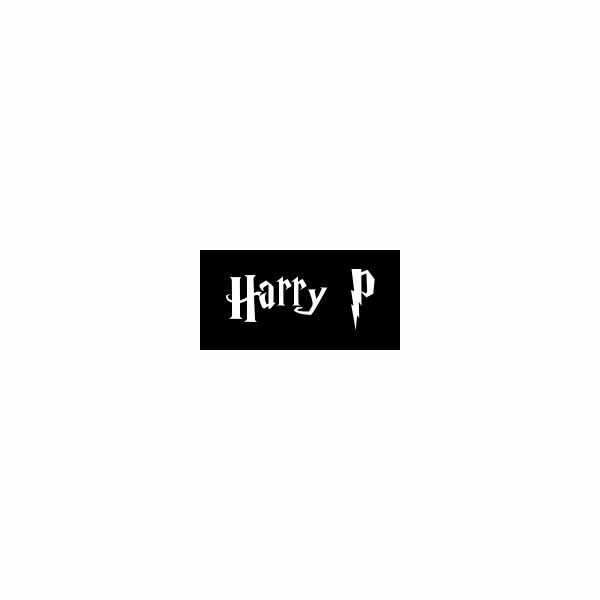 Harry P is the most easily recognizable Harry Potter font, having been used on the covers of all the books. It’s distinguished by its jagged capital letterforms, particularly the lightning bolt on the “P." Lumos is an all-caps font, used for the chapter titles in the Harry Potter books. The face also includes a “lowecase" that consists of small caps. The designer even created six themed dingbats including a tiny golden snitch. Lumos is based on Able Regular, the professional face actually used to set the chapter titles. Parseltongue is an Art-Nouveau inspired font meant to evoke serpentine speech patterns such as those found in the snake language prominent in book two of the series, Harry Potter and the Chamber of Secrets. Hagrid is based on Hagrid’s handwriting found in the books. It’s based on Felt Tip Roman, a professional font mentioned below. If you want really well-designed fonts with thought-out letterforms, you ought to support the people who created the fonts actually used in the books. I’ve tracked down three of them below. Hocus Pocus is a professional font built on the book cover letterforms from David Occhino Design. It comes in four weights and is available for $25. It appears to be very well-drawn and would be worthwhile for extensive or professional projects. Able is the font used for chapter headings in the Harry Potter books. It’s available from Linotype for $29 for Able Regular or $69 for the three-face set. When I visually compare Able to Lumos, I find Lumos doesn’t really hold a candle to Able. Lumos is adequate while Able is a standout. Adobe Garamond is the type that the Harry Potter books are set in. Use it together with one of the distinctively Harry Potter fonts to complete the look and feel of your project. Felt Tip Roman, designed by Mark Simonson, is what Hagrid’s handwriting is set in. While there is a free knockoff going around, Simonson says he doesn’t mind the imitation since it’s 1) an homage and 2) more importantly, it’s not close enough to the real Felt Tip Roman for him to care. You can use these fonts in Harry Potter-specific ways, such as for a Harry Potter fansite or theme party, but there are also other moods or themes to consider using these fonts for. For instance, these fonts convey a mystical and a magical feeling. Consider using them in a project where you want to convey a sense of dark whimsy. Additionally, keep in mind that fonts as distinctive as those used to brand the Harry Potter universe become inextricably entwined with themes and emotions of the series itself. When used, these fonts will evoke sense memories in people who have read the books and/or seen the movies. This should optimally be considered a *secondary* usage, because these feelings won’t be triggered in people unfamiliar with the Harry Potter universe. 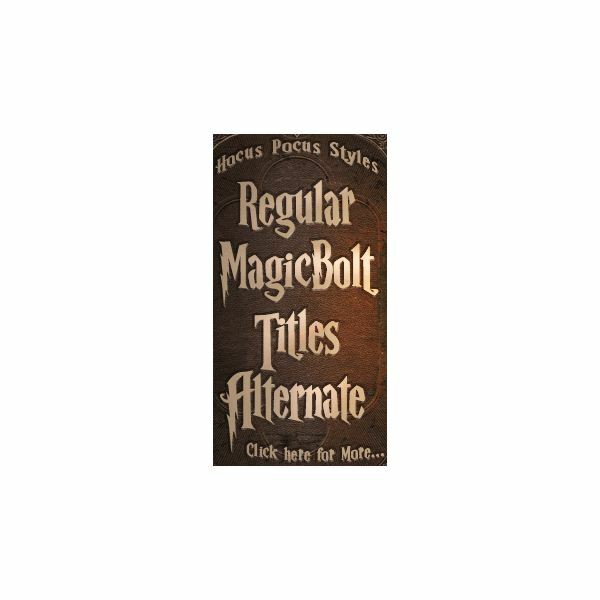 So, if you’re already using one of these fonts in, say, a poster advertising a magic act, keep in mind that they also will likely bring about feelings of empathy with someone struggling to succeed and overcoming odds, the strongest themes within the Harry Potter books. Invitations. A birthday party for a Harry Potter fan, perhaps, or a Halloween party. Posters. Any entertainment event involving mystical or magical themes, such as a psychic fair or magic act, but when used judiciously can be used for more serious applications. Consider the utility of these fonts for a poster for a museum exhibit on supernatural hoaxes, for instance. Websites. A Harry Potter fansite, or any associated with magic or the supernatural. If not directly Harry Potter-related, use these fonts sparingly — you don’t want to lose your site’s identity. Party Decorations. Whether it’s a Harry Potter party or a Halloween gathering, these faces are ideal for signs and other decorations for a mystical-themed shindig.